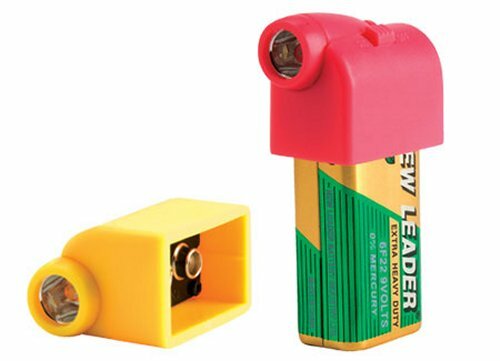 Battery Snaps are an interesting little gadget that turns a regular 9volt battery into a single-LED flashlight, by snapping onto the top. 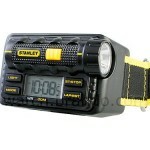 Just snap it on and use the button on top to turn on the LED light. Instant flashlight. When the LED light stops working, that’s when it’s time to replace the battery. For $5, it comes with a 9 volt battery included. 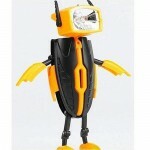 It isn’t going to light up a whole room or anything, but these would be handy to have for power outages. 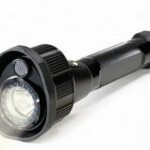 Who needs the whole flashlight when you can just snap it on a battery? Hi I was wondering where I can pick one of these up. In Canada. I live in st. Jhon’s Newfoundland. Any ideals?